Corn. Green beans. Broccoli. Potatoes. I feel like we do the same veggie sides all the time. Mostly because those are the few we like and are easy. 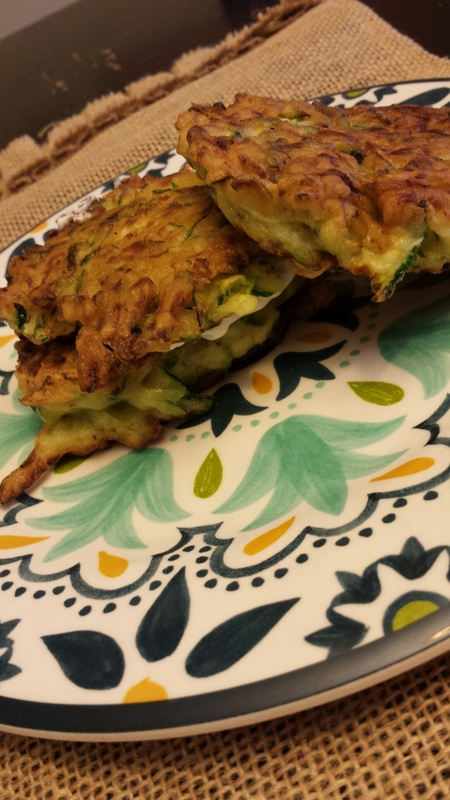 But I recently saw this pin from Just a Taste for 5 ingredient zucchini fritters. 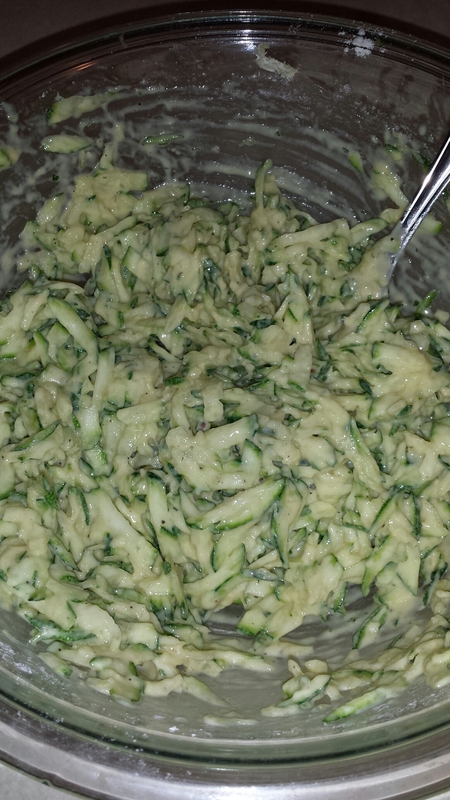 I’ve recently developed a liking for zucchini, although I’m the only one in the family to do so. 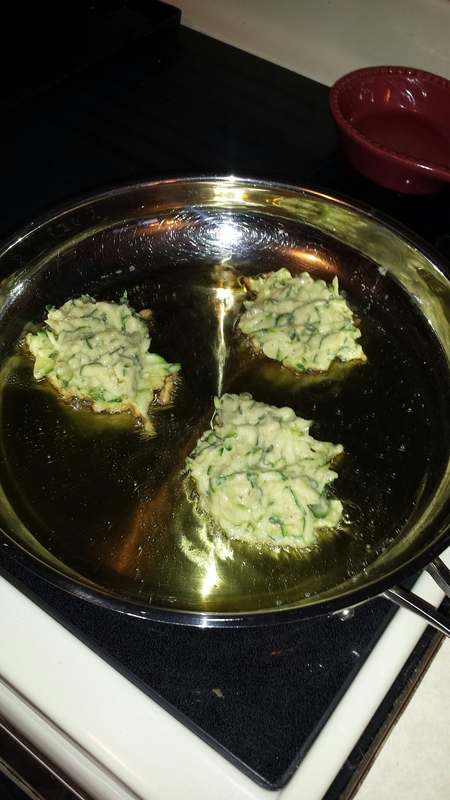 After a small eye roll from the hubby I started grating my zucchini while he cooked us up some steaks. 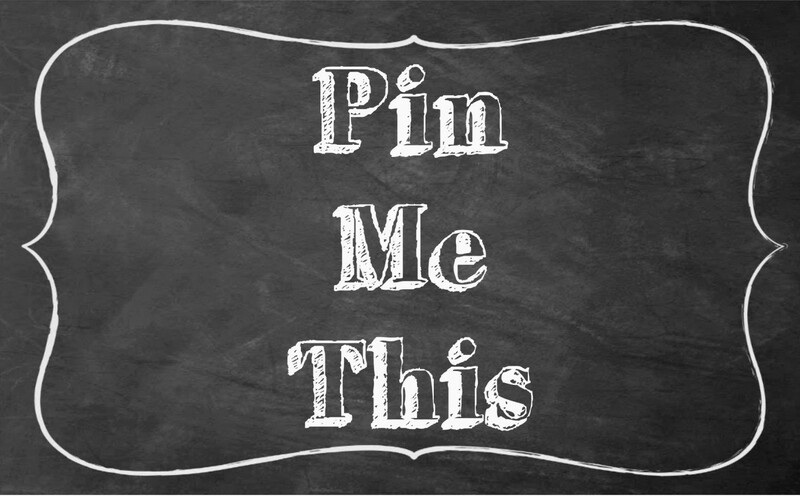 Click here for the instructions by Just a Taste, keep reading for mine. 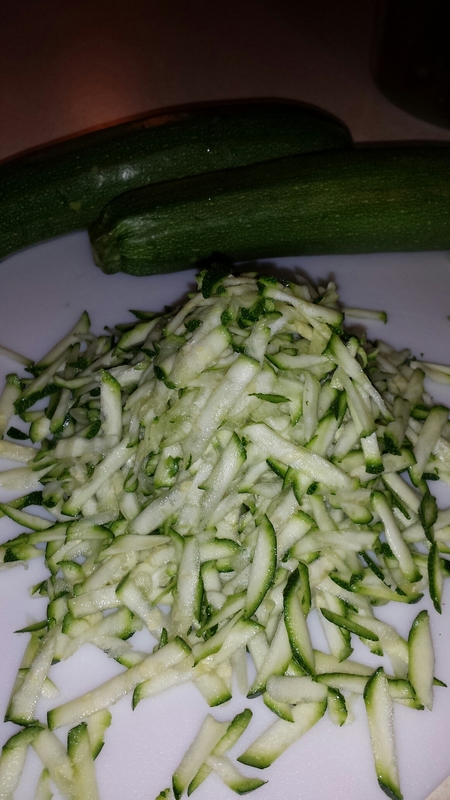 Grate your zucchini, and squeeze out as much liquid as you can. Lightly salt it and add it to a bowl. Just a Taste suggests putting it in a colander and letting it sit for 10 minutes also. Then add your flour, eggs, scallions, salt and pepper. Mix. Mix. Mix. 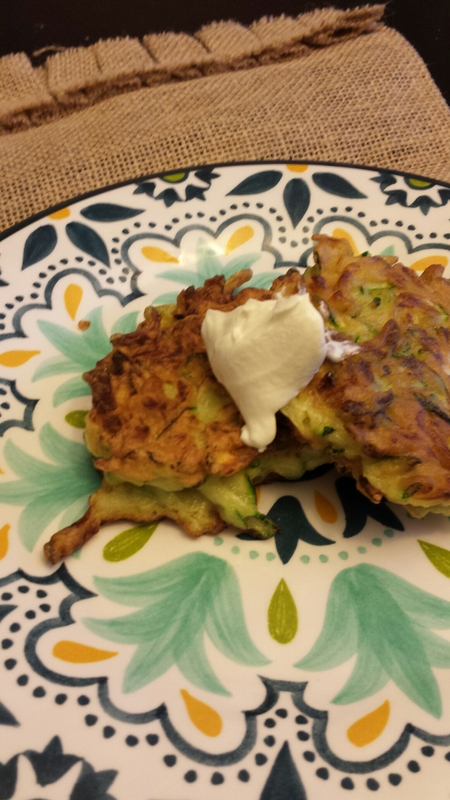 Line a plate with paper towels to set your fritters on. Coat the bottom of a pan with oil and heat over a medium-high heat. 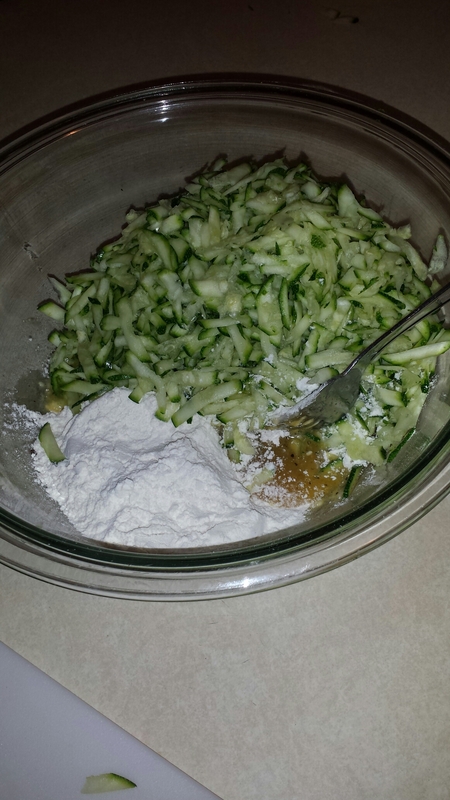 When hot, scoop your zucchini mixture(about 3 tablespoons each) into the hot oil. 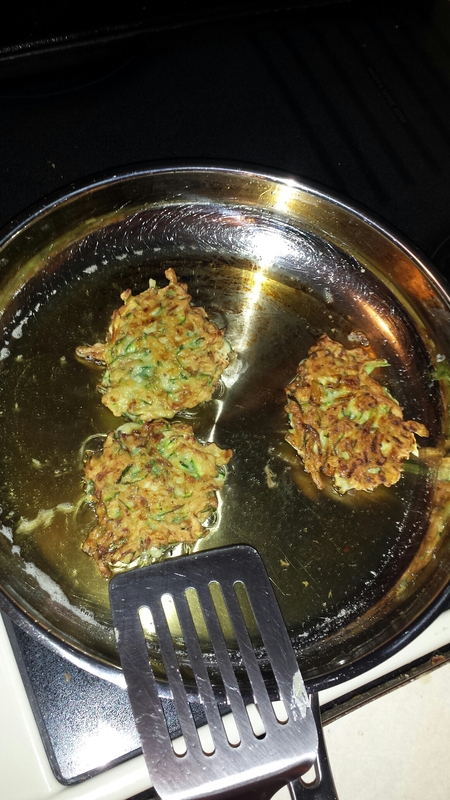 Cook for about 3 minutes each side or until golden brown. Place on the plate and sprinkle with salt. Continue the steps until you’ve used all the mix. To be honest, I forgot to buy scallions so they aren’t added to mine. Let me say, I think these would have been excellent with them. While my eye rolling husband loved them anyway, I thought they needed a bit more (thus the scallions). Maybe a spicy aioli? But not bad for a first attempt. This may not be in full rotation yet, but it’s definitely something I’m going to work on. Give it a try and let me know what you think. How would you change it?